Meet Lyndsey! She is a mom of three, a military spouse and an awesome mentor at Moms Making Six Figures. Lyndsey realized she needed a career with flexibility, but also wanted something she could be passionate about. Like many other women in her position, the question of there being more than just an ‘either, or’ career flooded Lyndsey’s mind. Read on to learn how Moms Making Six Figures met both her family and career needs! Why was a career with Moms Making Six Figures a fit for you? As a military spouse and mom of three, my schedule needs to be flexible and movable, literally and figuratively. My career experience is in mental health. However, when I moved to California from Florida, I transitioned to a very rewarding career in the commercial and military diving industry. During this time, I met my husband, who is a Navy Diver. 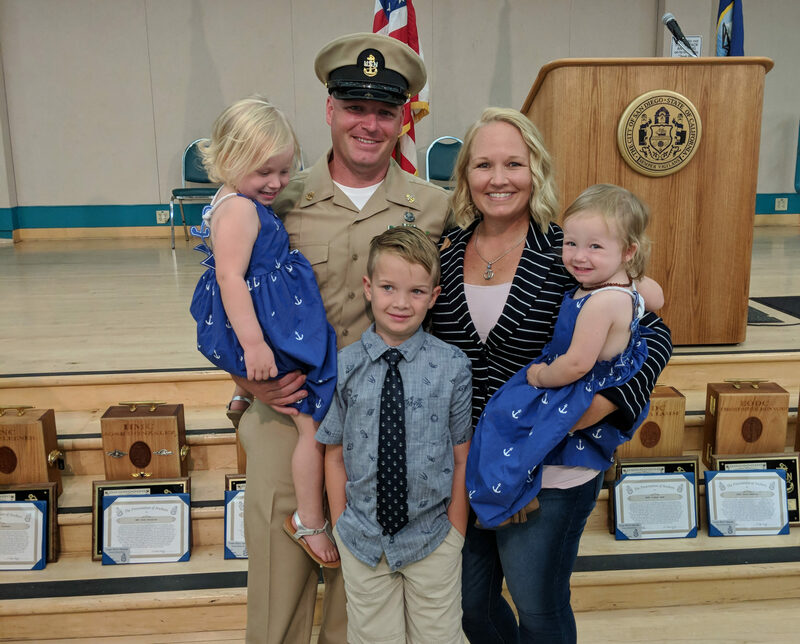 Fast forward to now, where we manage deployment schedules, training trips, moving to different duty stations every few years along with the normal time management of raising three young children and managing a household. Following the birth of our second child, we decided the value of having me at home with the kids was worth more to us than a corporate income. I would never change that decision, but it has certainly been challenging personally and professionally. I trained and partnered with a great financial company to trade stock options at home the last few years. While it afforded the time freedom I needed, I hated it. Enter Moms Making Six Figures. My career with Moms Making Six Figures has afforded me time freedom AND everything else I enjoyed in my corporate positions (namely the human interactions, haha), but nothing I disliked about those same corporate positions. (Such as employee management, inventory and production management, etc.) Instead, I get to focus on client relations, goals and problem solving. Everything I enjoy with the time and location freedom to meet the challenges of my life as a mom and military spouse. We’ve featured some of your awesome family vacation pictures on our Instagram and Facebook! From hiking in the desert, to adventuring in your own city, does work ever interfere with family time? Quite the opposite, actually! My work with Moms Making Six Figures is so organic. It fits right in our lifestyle, from daily interactions to extra adventures near and far. My career goes where I go, I don’t punch a time clock, and I don’t need anything other than my computer and phone. We all know there is much more to this career than just the fun times that are often highlighted. In what ways have you had to step out of your comfort zone in order to be successful in your business? I am an introvert by nature, meaning simply that I need (and often prefer) my quiet space to recharge. That is my comfort zone. To be successful with Moms Making Six Figures is no different than my other corporate careers in that I must be willing to step out of my comfort zone and build relationships. The difference is with Moms Making Six Figures, the nature of the relationships we build are genuine and helpful. We offer such value to our clients. Although I do have to step out of my comfort zone, at the end of the day my job is extremely rewarding. Unlike my corporate experiences, I’ve found working with Moms Making Six Figures doesn’t drain me.